Opera Rooms 66 in Rome is a family run accommodation defined by its unique interior design, the results of pioneering architectural project back in 2011. 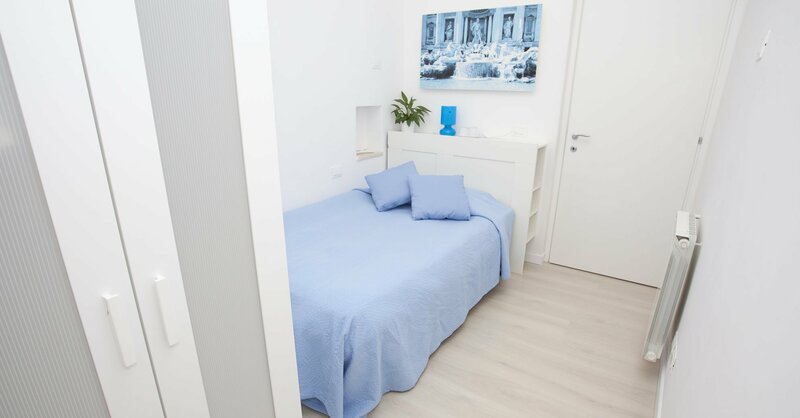 The style is cool and minimalist, with each of our four rooms then carrying an alternative colour scheme, as you can see from the pictures above. We're located right next to Rome's famed Opera House (the Teatro dell'Opera), on Via Viminale, in the very heart of the historical centre of the Eternal City and all her many delights. 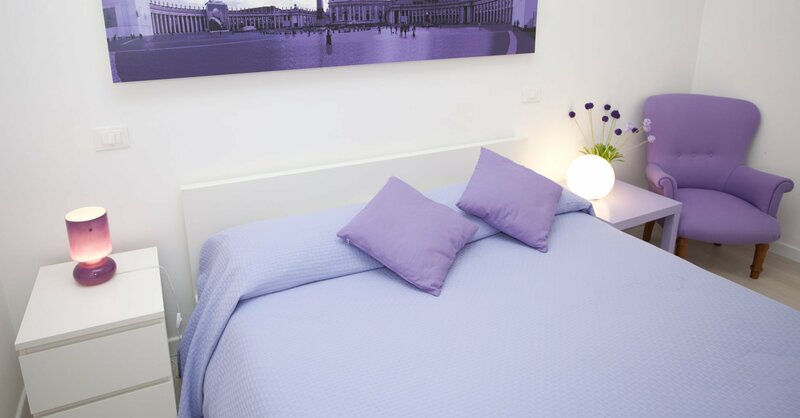 The luxury Opera Rooms 66 B&B Rome is part of the 3-star Hotel Martini just 200m away, where you'll do check-in and request any additional services. Our concierge will organise bookings of tours, museums and of course, the opera. Wifi is included across both properties. This is the official website of the Opera Rooms 66 Bed & Breakfast in Rome - run and updated by us - so here you'll get access to our special offers and discounts. We run early booking discounts, last minute offers and if you're sure of your travel dates, we offer a cancellation-waiver discount. Our real-time booking system is fully secure and you can also use it to leave us a message about your arrival time or special requirements. The great location of the Opera Rooms 66 luxury B&B is what makes our family run and quiet accommodation a fine option for a weekend break in Rome that is both relaxing - because you never have to go very far - and packed full of culture and entertainment. From the city's opera house literally steps away to the far reaches of the city connected by metro, you'll be able to feast on all of this magical city's delights with ease and convenience. Just exploring the immediate vicinity on foot you'll find two of Rome's main streets in Via Nazionale and Via del Corso, where high street stores jostle for space with gelaterias and historic buildings. The restaurants and nightlife of Monti are also within a hop, skip and a jump away!